If you want to learn anything then books are the best resource available. Reason why books are so good is the fact that these books bring everything in an order and present in a standard format. So when you browse internet on a topic, you may end up picking the last topic in the first place and vice versa. Books are always the best resource as a starting point. Once you have gone through it, even if you are not satisfied with it, you know the overview of it and know “where to begin” and “where to end”. Now books are written by humans and as human are always susceptible to errors, you never know if there are errors or wrong information given in the book. So it is important to pick the best books available in the market. Learning seo is not an exception; the principal mentioned above holds its value. There are hundreds and thousands of blogs on seo but most of the time, information is presented in the form of blog posts. Now there is no series and you never know if things are presented in the correct order. For example, backlinks are the most talked about part of search engine optimization process across blogs but it is the last step in the process. First step starts with keyword research which is used in the domain name registration. Then after registering your domain, you need to set up a good website keeping page speed in mind. Page speed plays a major role in your rankings. So you need a better theme and plugins to set up a website which is optimized to improve user experience and better page speed. Then you need to write good content while keeping on page optimization factors in mind. On page optimization is crucial in the current world. Before you start your content or post, you need to do keyword research to pick correct keywords with low competition. After you have completed the above mentioned steps, you need to work upon creating high quality back links. So if you don’t know this entire process in detail, you may end up creating loads of back links but despite that, your site will not rank well. So it is important to carefully look at every aspect of seo. That is why, books are so important to learn seo. There are numerous books available to learn seo but unless until you do appropriate research on them, you can’t be sure about their quality. In the world of affiliate marketing, you can’t even rely upon the review sites or blogs. I think the best place for reading fair and honest review are amazon and ebay. You will find real reviews by real people who have used those products including seo books. Now as requirement of different peoples are different, individual opinion will vary. Some books are good for beginners and some are good for experts. So you must have a clear understanding of your level and pick your book accordingly. I have gone through the feedbacks and reviews of books on amazon and ebay & compiled a list based upon that so that you too can go there and verify the reviews and feedbacks yourself. There can’t be a book which can solve all of your problems and no book is perfect. These books are awesome and you have to come up with your strategies to implement the knowledge. You will even come across some negative feedback about some of these books and it is because often people end up buying books which are not meant for them like a expert level individual buying a beginner’s guide so obviously their needs are not satisfied. These books are meant for beginners to moderate level bloggers and webmasters. 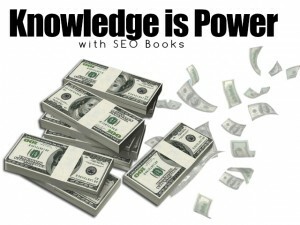 If you are aware of any other books or resource to learn seo, then please leave your comment so that it can help others. Also, please share the post with near and dear ones. I will continue to update the list consistently. The book pitches these conclusions as novel, but they seemed fairly intuitive to me. We implemented a very similar system embodying these two points back in 2000-01 at Epinions. Epinions allowed users to grade each others’ content; we weighted votes differentially based on users’ credibility; and we displayed ungraded and poorly graded content only to registered users (a small fraction of our readers). The fact that the authors “discovered” these conclusions at Yahoo Answers shows the dire need for books like this to help websites implement best UGC management practices without reinventing the wheel. Thanks Bonita for sharing this great piece of information. You don’t need SEO books to tell you that search engines drive an enormous amount of traffic to your site. However, what we can show you are the secrets to effectively elevate your site through these search engines. Here is an SEO eBook that not only helps you learn search engine optimization but also teaches you how to create a powerful pipeline that drives a steady flow of traffic to your site. You need to set a clear bottom line and walk away if you don’t get it. This can be very difficult to do, especially if you’re just starting out. The exception is if you’re simply trying to get a few names and references on your books, and don’t care so much about the price at this point. In this case, you should always price high but say you’re offering a special discount at this point in time. Failure to do so means they’ll just perceive you as being cheap all the time. The first chapter covers the essence of the entire book from keywords to information architecture to social media to measuring the success of web content. Advice is not too dissimilar that what you’d find in better blogs that cover these topics but one thing I found interesting was Chapter 2: “How the Web Medium Has Evolved from Its Oral and Print Origins”. Nice list of books, Akhil, The most important thing is how you implement those strategies after learning SEO. Thanks for reviewing all the books and compiling it into an interesting post. That’s true Shasha, implementation is the key. thanks for your comment.